About a year ago, Join the Dots set up their first overseas office in Singapore. At the time, Asia Research interviewed their new Managing Director, Karen Schofield (pictured), on their reasons for setting up in Asia, their plans for Asia, and what she looked forward to about living in Asia. Asia Research: How did you expect the Singapore research industry to be different to the UK’s? Did this turn out to be the case? 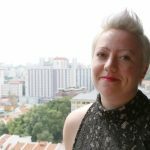 Karen Schofield: While our work is global, the UK has a much larger domestic market, so we expected there to be a big difference in the number of markets we’d be covering within the first few months—and we were right. In our first year, we conducted work in local Asian markets including Singapore, Indonesia, the Philippines, and India, but we also found ourselves working in global markets from Singapore including the US, UK, and Australia. Understanding the nuances of local culture is key to working in Asia. Since much of the work is regional and covers a number of different markets, you need to have an understanding of how those markets are different from each other when designing research, and especially when analysing it. Not setting it into a cultural context to understand what’s really driving behaviour means you only have part of the picture and won’t uncover the true insights. 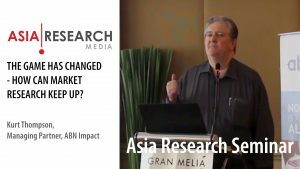 Asia Research: What do you feel are the main differences between the Singapore and UK research markets in terms of the types of research being undertaken, clients, competition, and research staff? Karen Schofield: Clients so far have been mostly similar, since we’re typically working for MNCs; however, the mix of work is slightly different. The market for online communities is more mature in the UK and US for example, and while mobile research is growing in Asia, it is sometimes about combining new methods like online communities or mobile ethno apps with tried-and-tested ones like accompanied shops or in-depth interviews. Flexibility is key—it’s about understanding the client’s needs and business objectives, and designing an insight project to match this, which actually is no different to the work we do around the world. While we’re known for using innovative methods, technology is a means to an end; if accompanied shops or in-person usability interviews are the best way of doing something, that’s what we’ll recommend. There’s certainly a shift towards mobile here, though. 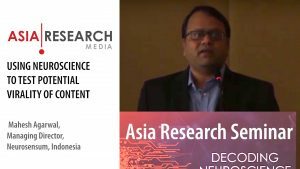 In many markets across Asia, consumers are experiencing the internet solely on mobile devices, so clients are having to think mobile first in order to reach and engage with them, and to gain insight. That’s great for us because all our survey and community tools are mobile-optimised—it’s all about putting people at the centre of the research you’re designing, to get close to consumer decision making, to engage consumers in the research process and, ultimately, to generate better insights. Asia Research: How has it been living in Singapore compared to the UK? Karen Schofield: Moving here has been an amazing experience. The best things have been meeting people from lots of different cultures and backgrounds and having the ability to travel. It’s really easy to meet people here and you come across people from all over the world, and there are so many places within a few hours’ flight, which is great for lots of weekend trips away. I’m collecting fridge magnets everywhere I go as a record of where I’ve been! And of course, the weather here is amazing, although I’m not sure you ever get used to the humidity. The main things I miss about the UK are family and friends, but Skype is great for keeping in touch. I’m a bit of a petrol-head, so I also miss driving, but the public transport system in Singapore is so efficient you don’t need a car. I always rent one when I’m back in the UK though! 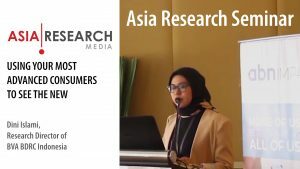 Interested to share your story with Asia Research? Get in touch with us!